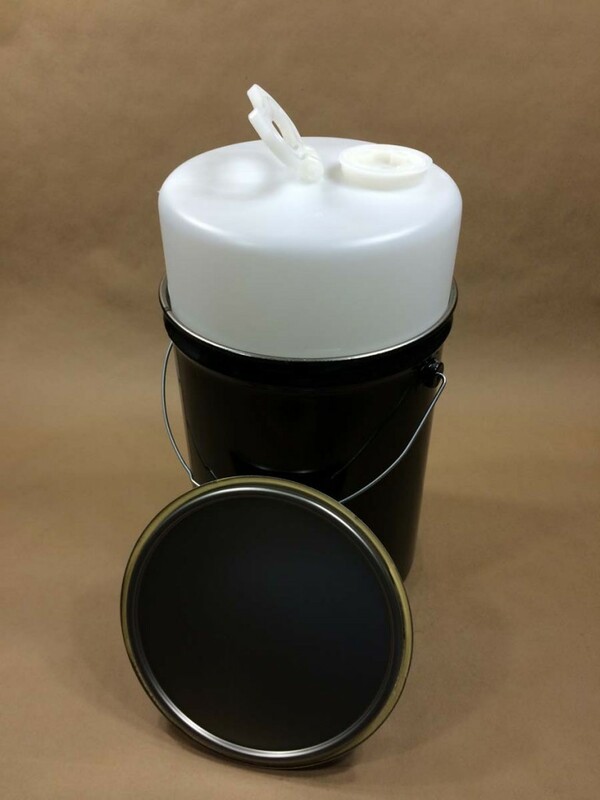 This drum consists of two packages that are then assembled as one product. 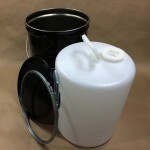 It can be taken apart and reassembled without ruining the integrity of the package. 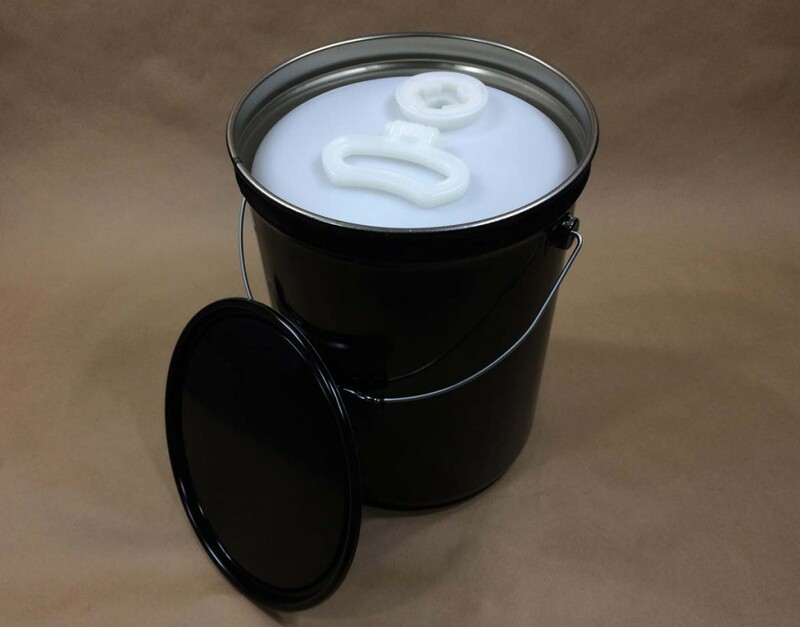 The inner plastic insert is made from high density polyethylene and has one 2″ buttress plug. 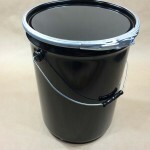 This inner container has been tested to hold 95 KPA (Kilopascals). 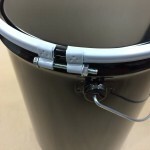 The lid is secured to the pail with a bolt ring, nut and bolt. 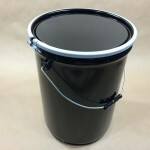 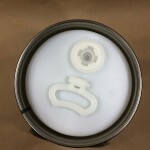 This drum (pail) is useful for products that cannot be in an unlined steel pail, or a steel pail with a baked on lining.